Before the madness of Crankworx Rotorua had truly begun, the Kona Gravity Team headed into the local Whakarewarewa Forest trail network to get a taste of some of the best trails this mountain biking Mecca has on offer. 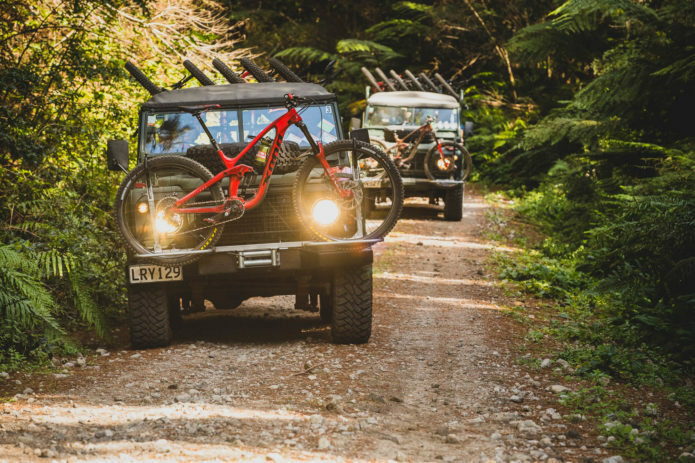 Jonny Mitchell, Kona’s brand manager for the New Zealand distributor, had organized two private Southstar Shuttle ex-army Land Rovers for a private three-hour tour of the forest. 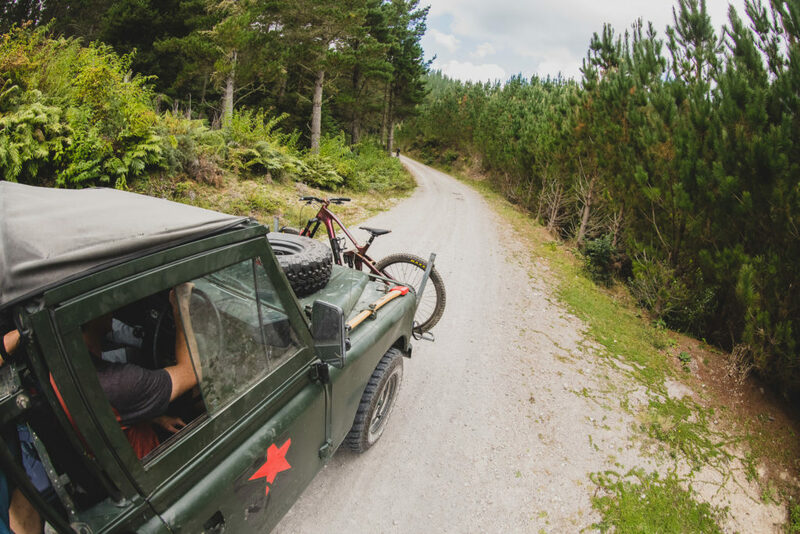 The Landrovers allow access to almost all of the massive forests trail network, and they are an insanely efficient way to cram a whole bunch of riding into a small window. Most trails have an elevation drop of around 1300ft so cutting out the climbs back up was a welcome relief. 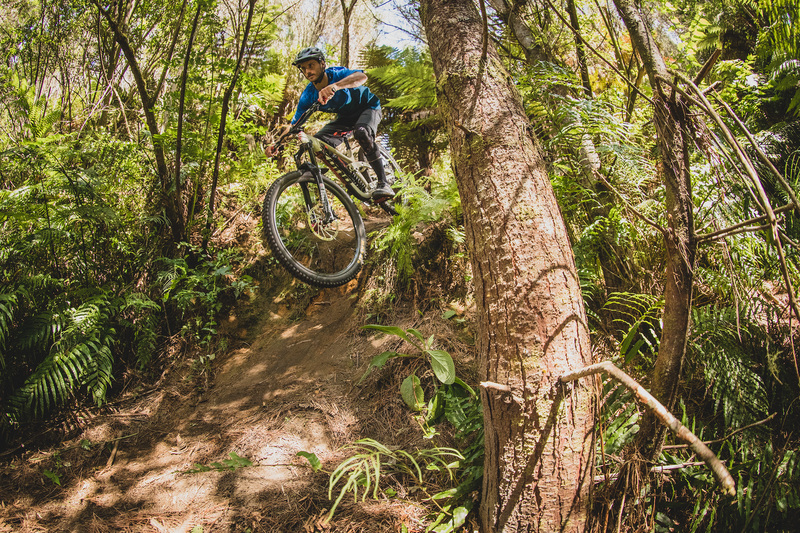 Caleb Smith | KONA COG Jonny Mitchell, Kona’s New Zealand brand manager, gets zesty on board his 30th Birthday Honzo ST. Joining the crew was Southstar Shuttles owner (and shredder) Jeff Carter who would be guiding. 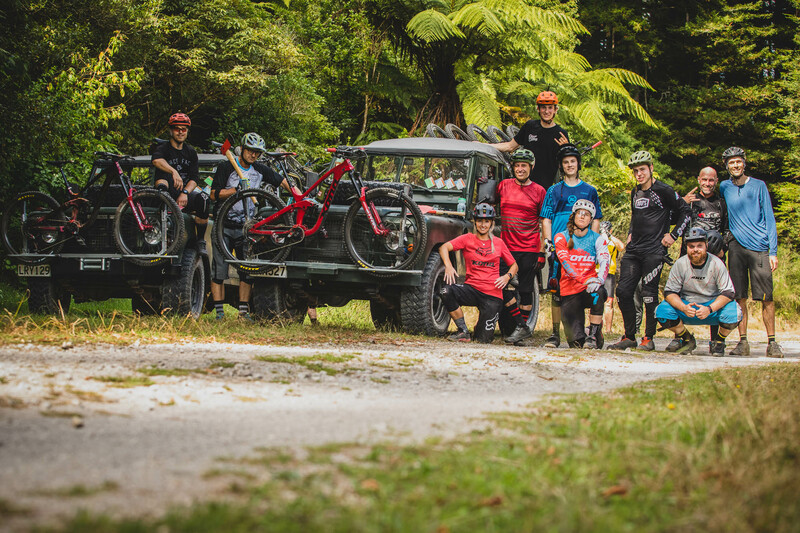 Also jumping on board the seven-seater trucks were local rider Elliot Smith and a couple of NZ Kona Dealers who were lucky enough to get Jonny’s call. 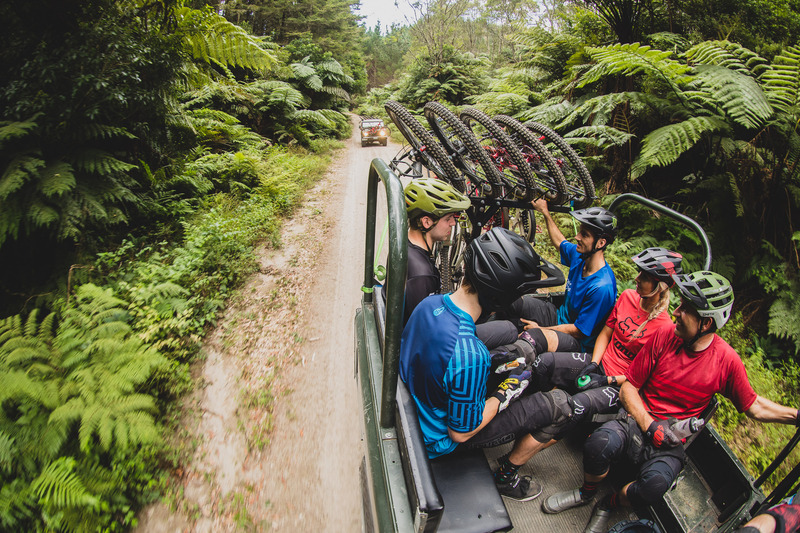 The whole team doesn’t often get a chance to ride together, so dropping in blind in party chain elicited a whole bunch of hollering, on only their second run, the group found themselves at a popular sender, where Rhys, Caleb, Connor, and Elliot went to work. 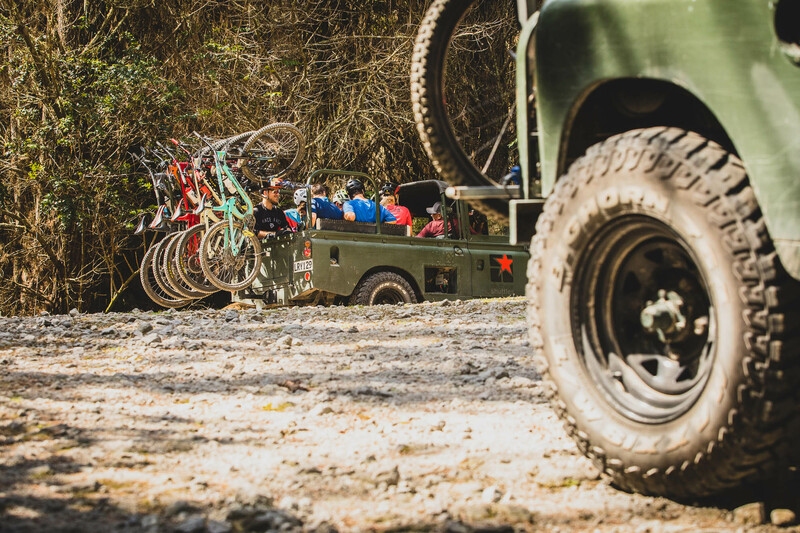 Feet came off, bikes and bodies were tweaked, and some casual heckling may have ensued. 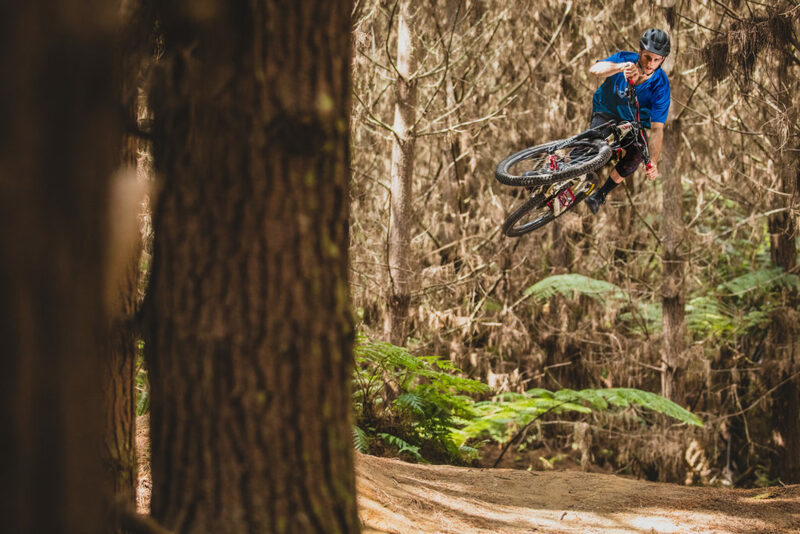 Caleb Smith | KONA COG Connor Fearon with a some text book relaxed steeze. 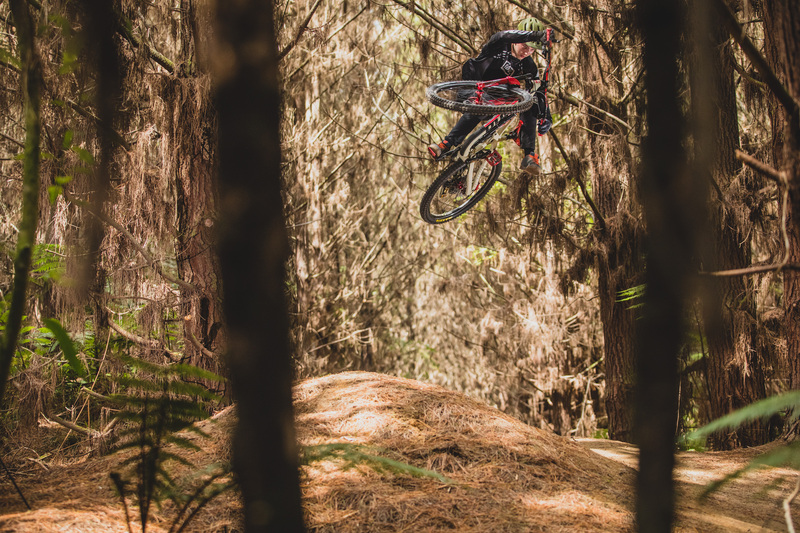 Caleb Smith | KONA COG Rhys Verner lays out his brand new whip. 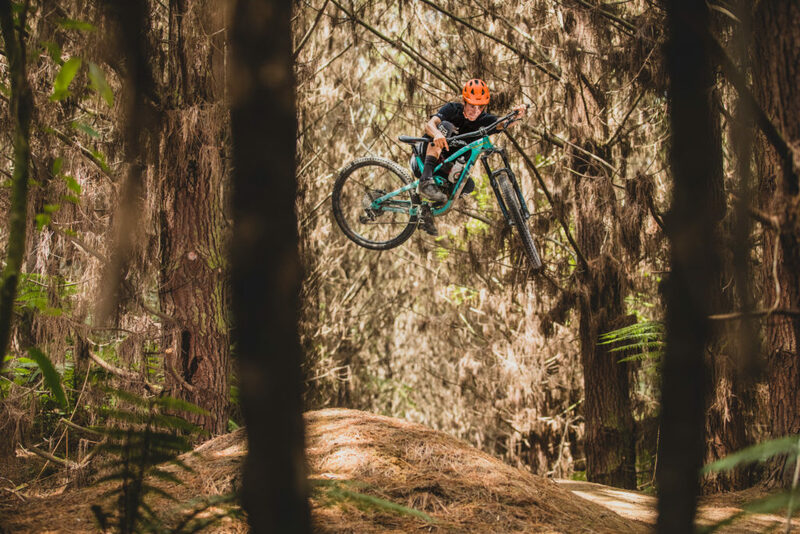 Caleb Smith | KONA COG Canadian Caleb Holonko only came to NZ with an Operator and a Shonky, luckily Team Manager Mathieu Dupelle had his personal bike on hand to loan the young ripper. But back to back runs is what the riders were here for and after a quick photo stop everyone was back into the swing of things and loaded up for the next run, and the next run and the one after that. 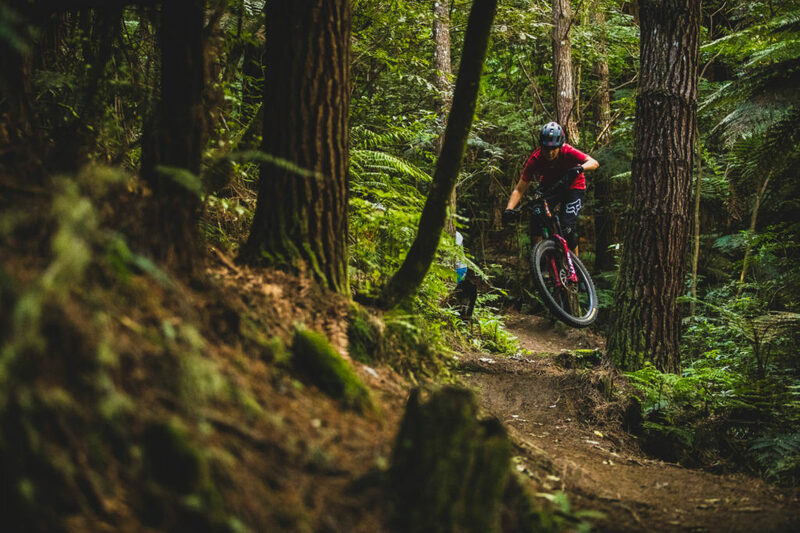 Caleb Smith | KONA COG Connor finding flow in the dense regenerative forrest. 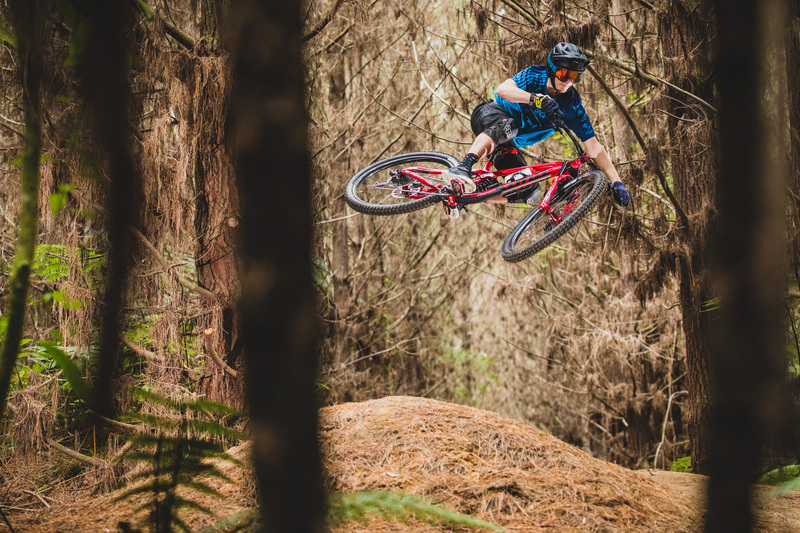 Caleb Smith | KONA COG Miranda Miller, between a rock and a hard… Rock. 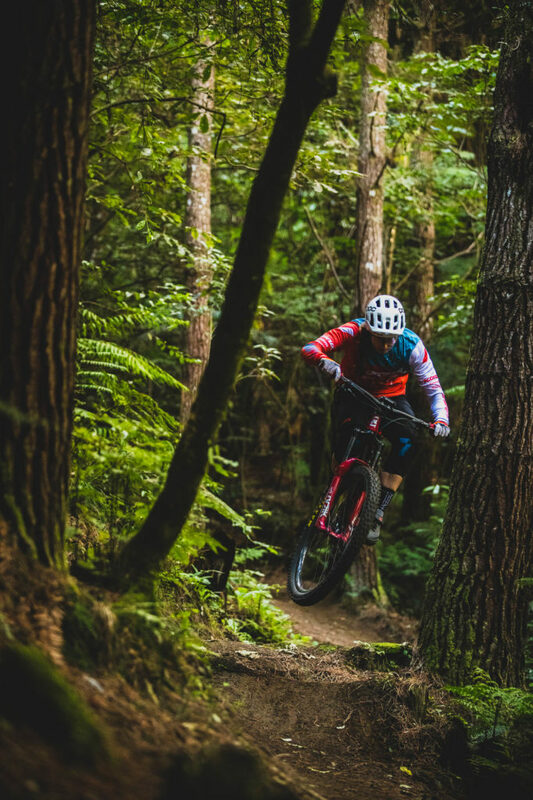 Caleb Smith | KONA COG Shelly Flood needs no encouragement, her bike is just constantly popping of everything, dirt, roots, rocks you name it. 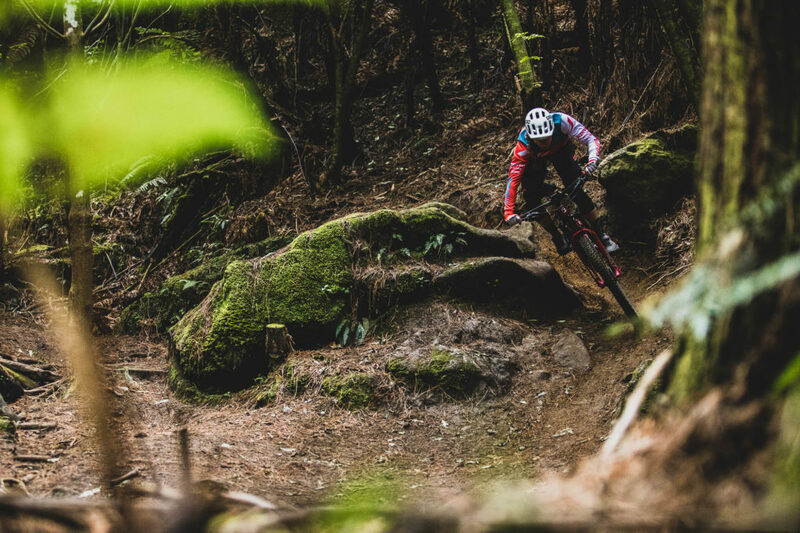 Caleb Smith | KONA COG Beats climbing this hill six times! Caleb Smith | KONA COG Local 16-year-old Kona rider Elliot Smith had made the six-hour trip from the nation’s capital for the chance to ride with the team. Caleb Smith | KONA COG Miranda Miller has a posse. (Connor Fearon missed the class photo as he was off taking part in the DH track walk). 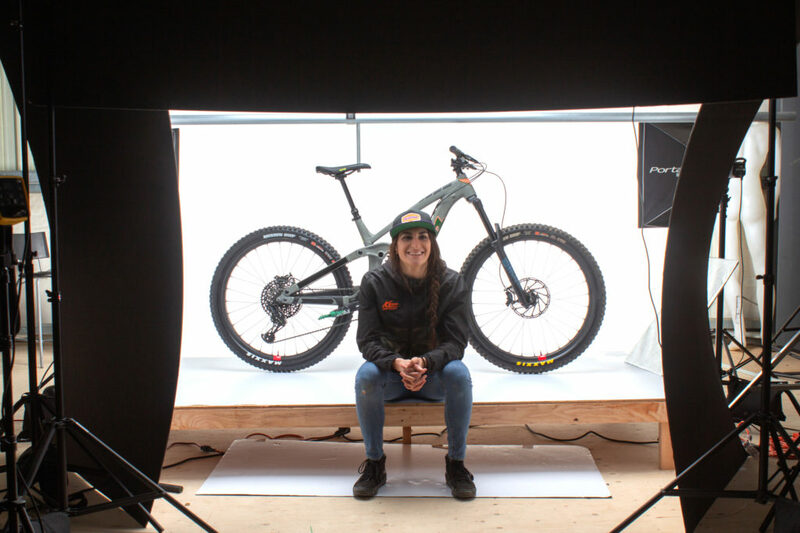 Kona Ambassador Shae James likes to do things a little differently and regularly tweaks her bikes to make them juuuust right. Enter BoB RoSS, the multi-dimensional Process 165. 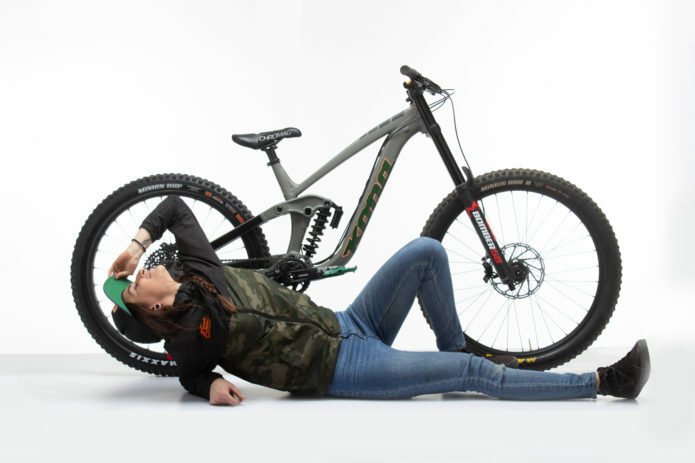 Here’s Shae’s take on her unconventional dream build. “What the heck is that? 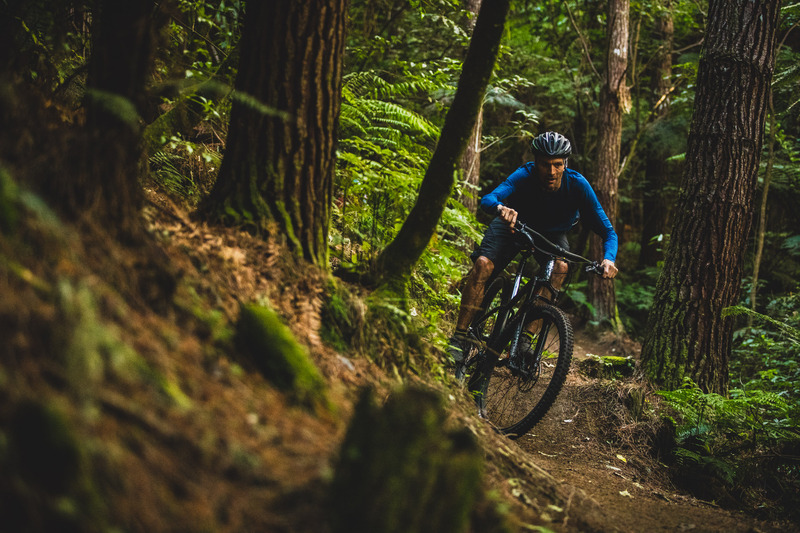 ?” are the first words my new bike ever heard as I wheeled it out into the world for the first time. 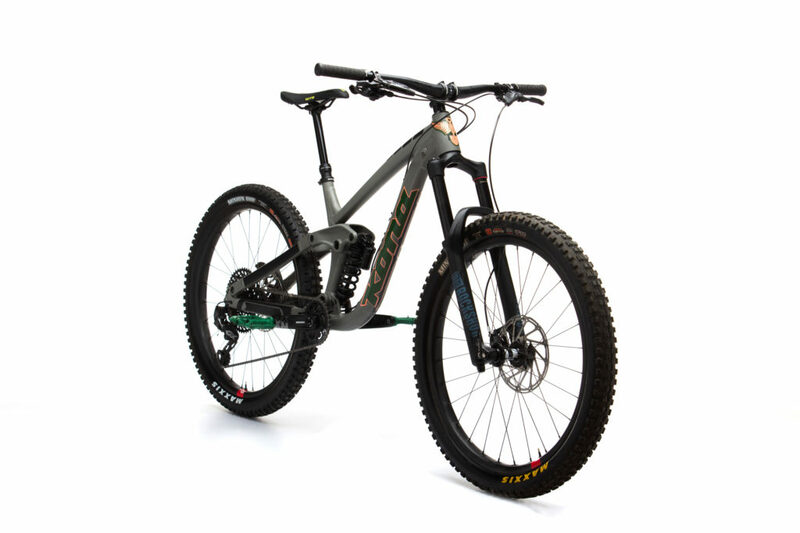 Words full of curiosity, but mostly bike lust. Not ‘What?’. But who? Short for Best of Both. 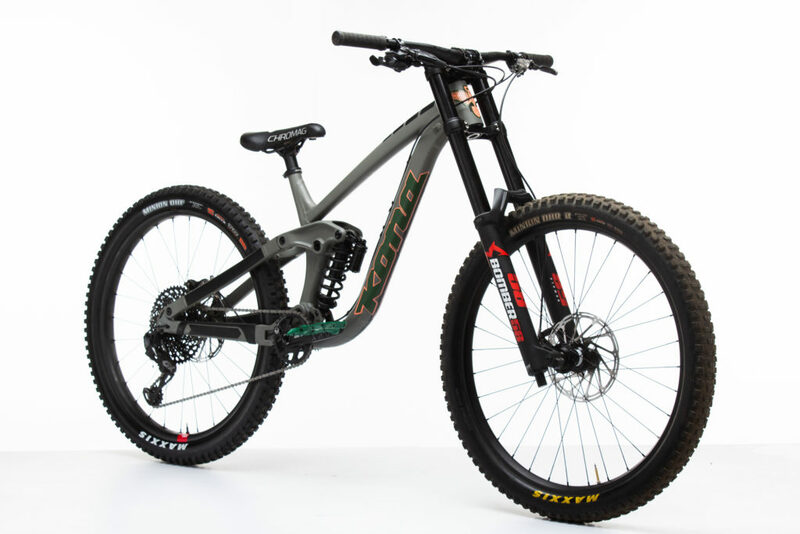 Bob is a Process 165 trail bike who, like a superhero, can quick change into a downhill bike. But we’ll get to that later. Let’s take a closer look at Bob. 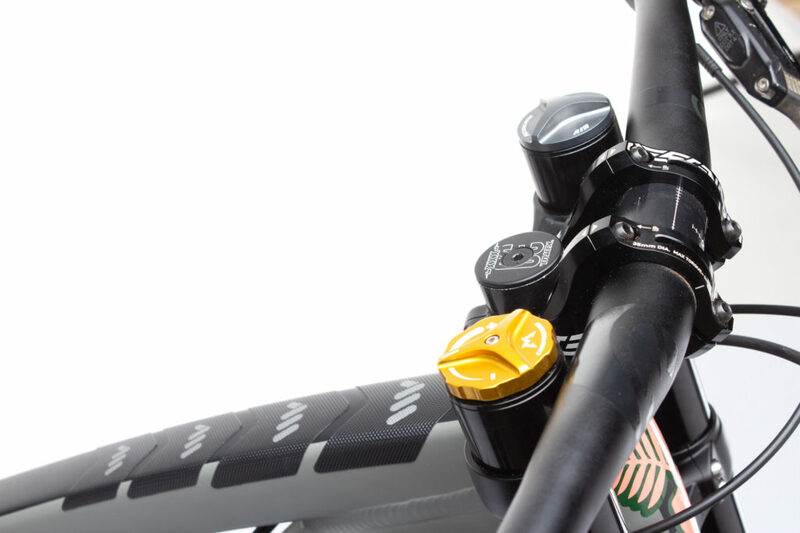 Bob has been upgraded to include a Sram GX Eagle drive train. 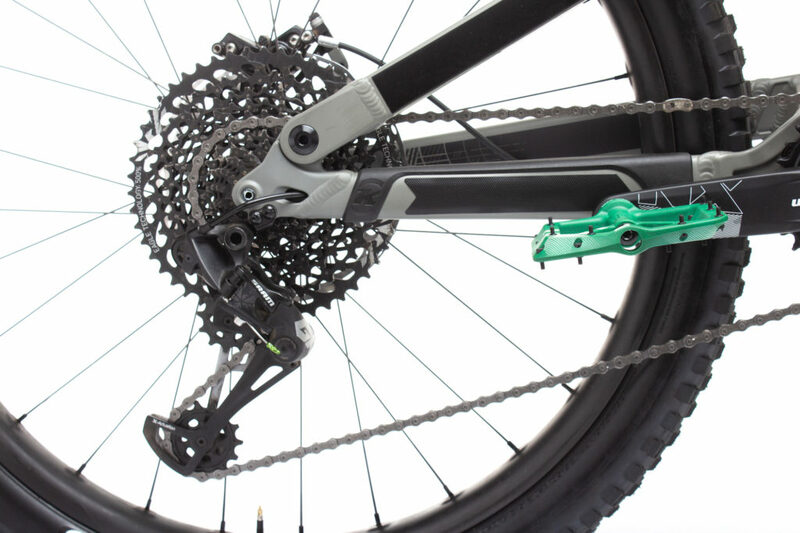 While the cranks are the original NX arms, the rest of the drivetrain is GX. In addition to a new drive train, Bob has also received a set of Santa Cruz Reserve 37 Carbon Wheels with DT Swiss 350 Hubs. Light as a feather, stiff as a board. 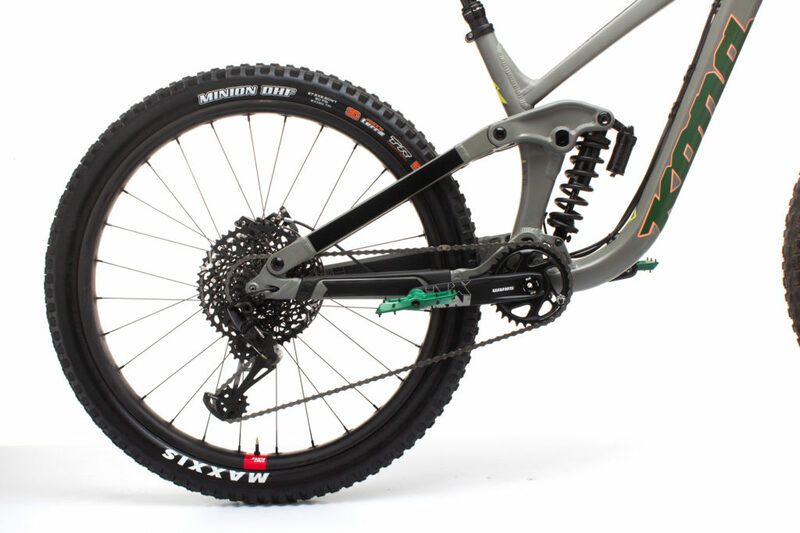 These big shoes are tied with two Maxxis Minion DHF tires 27.5 X 2.6. With this set up, I’ll be able to ride anything, and everything, every day of the week. Now it’s time to meet Bob’s twin, ROSS. Short for Rig of Super Steeze. Ross is a Process 165 with a dual crown Marzocchi Bomber 58 that has been lowered to 190mm and locked into place with a Truvativ Descendant direct mount stem. 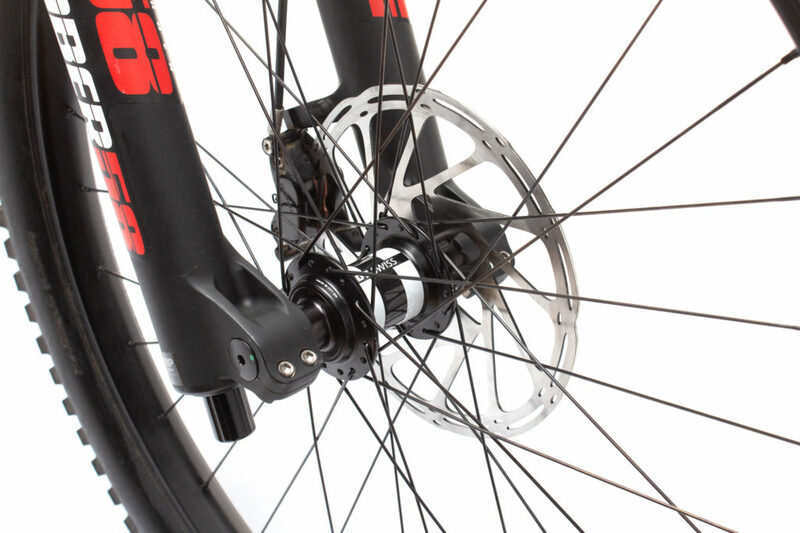 Kona handlebars and grips accompany the original Sram Code R that is still in place for Bob’s front brake, but Ross gets the upgrade of Sram Code RSC brakes for the front, and rear. 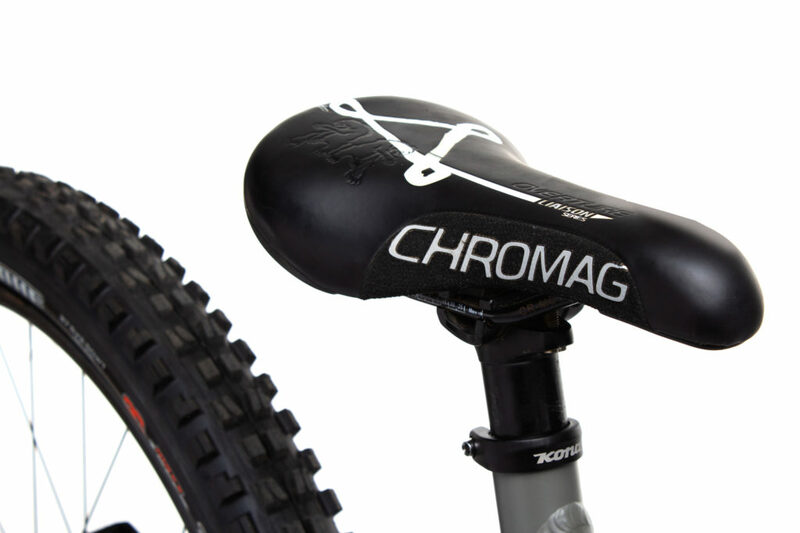 The final touch, is unclipping the KS Lev Integra, and sliding the cable into the belly of a Kona seat post topped with a Chromag Overture Brandon Semenuk Seat. Now those matchy green Kona Wah Wah pedals are really calling for your feet. If all of this wasn’t enticing enough, the cross over from Bob to Ross, takes about the same time as changing a set of brake pads. But to me, this dream build was about more than just convenience and parts. I wanted a bike that fit me, and my riding style. This bike is meant to be fast, but fun. To pedal around gates and hit the big stuff, yet be playful enough to encourage creativity and trickery. I’ve added my signature touch to really affirm the originality of this steed. A set of custom decal stickers in coral and dark green metal. 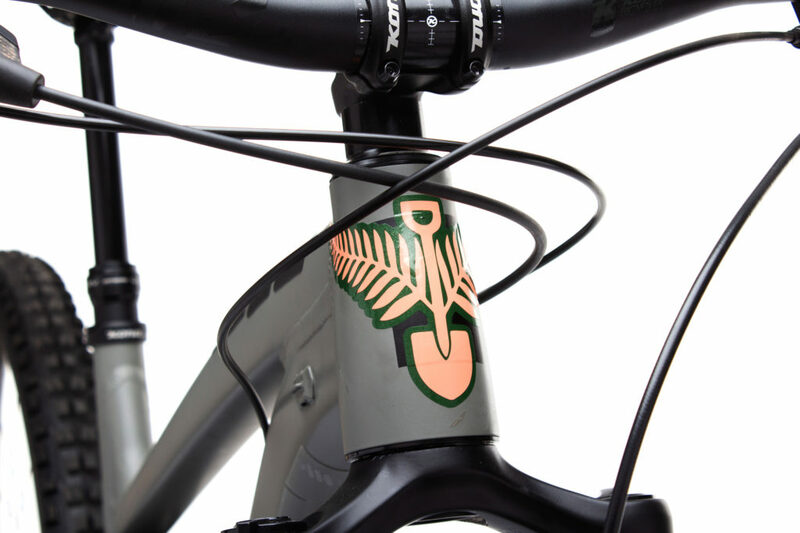 The finishing touch is a personally designed head badge that has signed all of my bikes throughout the years. To me, a dream build is the bike you’re riding in all of your day dream stunts. …Hmm? What was I saying?